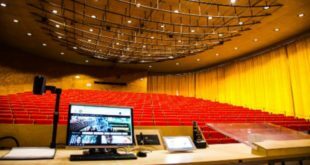 A Meyer Sound Constellation acoustic system has been installed in the San Francisco Opera’s new Dianne and Tad Taube Atrium Theatre as part of a recent renovation. Located in the Diane B. Wilsey Centre for Opera, the 299-seat Atrium Theatre is designed for multiple configurations, providing both performers and audience members with a very personal approach to opera. Meyer Sound’s Constellation acoustic system was custom designed to provide the venue with a range of acoustic options, allowing the San Francisco Opera (SF opera) – the first opera company to rely upon Constellation – to expand from traditional theatre-style seating to cabaret settings with café tables and in-the-round performances, or even edgier configurations. 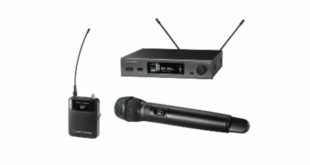 The D-Mitri digital audio platform provides the backbone for Constellation and hosts the patented VRAS acoustical algorithm, working in conjunction with 24 widely distributed microphones and 75 small, self-powered loudspeakers mounted discreetly within the theatre walls and ceiling. San Francisco-based Arup provided acoustical and AV consulting services, with Kurt Graffy leading the team. 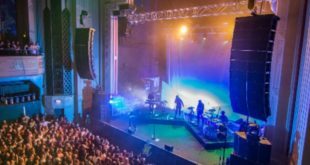 Santa Rosa, California-based PCD installed the system. The Wilsey Center for Opera is the result of a $21 million renovation of the fourth floor and basement of the Beaux-Arts style Veterans Building, a historic Civic Centre landmark that recently completed an extensive seismic retrofit. 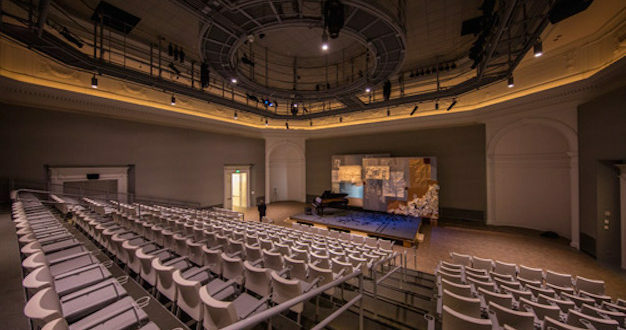 SF Opera selected the award-winning architectural firm Mark Cavagnero Associates to transform the venue into a state-of-the-art theatre and education/rehearsal studio. In addition to the Atrium Theater, the 38,000-square-foot Wilsey Center is home to the Bryan Education and Rehearsal Studio, the Anderson Norby Costume Studio, the Braby San Francisco Opera Archive, and a variety of administrative and support offices.